Over 20 years of commitment to both identifying and solving air quality problems sets us apart. 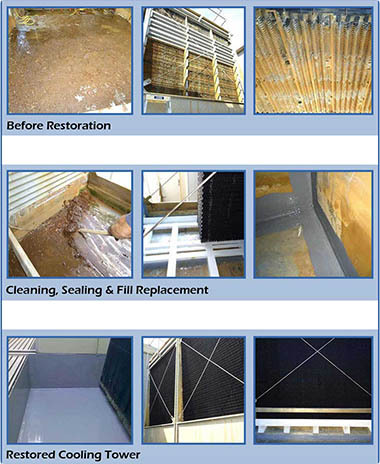 ACT is the leading resource for cooling tower restoration in Alexandria, Arlington, Fairfax, and all other nearby cities. Our cooling tower restoration specialists are highly trained professionals that take what they do very seriously. They are very well equipped with state-of-the-art equipment, cleaning solutions, and sealants. 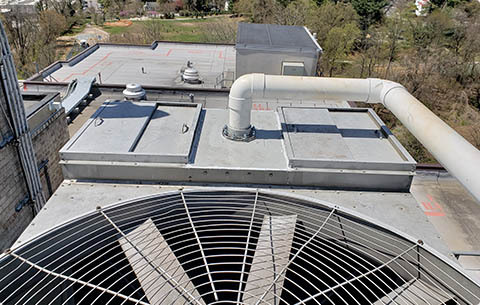 Rooftop work is not a problem for our team, and we have experience with all different types of cooling towers. 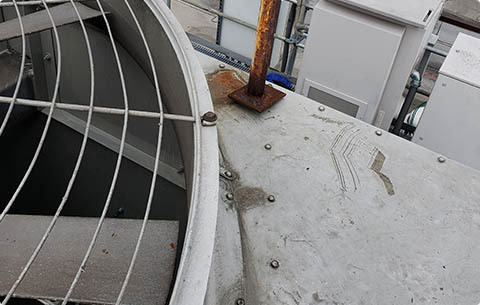 We get the job done right the first time, every time, and you will probably be pleasantly surprised when you get a quote from us for a cooling tower restoration project. Since cooling towers are immersed in humidity, there is no getting around the fact that metal parts are going to corrode over time. Plus, dirt, dust, and impurities in the water will often clog the spray nozzles and the fill media. This will make the tower work harder to serve its function, and the corrosion will weaken the structural integrity of the unit. These factors can lead to complete system failure, and under these circumstances, a costly replacement would be necessary. If you suspect that your cooling tower is not operating efficiently because there are readily apparent symptoms, we can restore it for you. This being stated, regular maintenance can keep your tower running smoothly and nip potential future problems in the bud. This is another service that we offer, and it can save you quite a bit of money in the long run. Contact Air Cleaning Technologies Today! We are ready to spring into action if you need a cooling tower restoration crew to get your system running perfectly once again. You can reach us by phone at 703-547-1680, or click here to email. ACT is ready to help restore your cooling to like new condition! Copyright Ⓒ 2019 Air Cleaning Technologies.